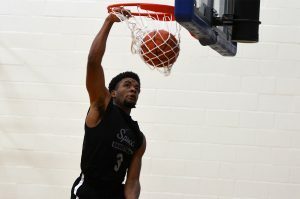 A division championship, a top seed in the Northwest Athletic Conference tournament, and an undefeated home record – a lot was on the line during the regular season finale for the South Puget Sound Community College men’s basketball program. And it was all slipping away. The Clippers held a seemingly comfortable seven-point lead with under two minutes to play, but a late push by visiting Green River had sent the game into an unlikely overtime. It was at that moment Hunter Sipe stepped up when he was needed most. 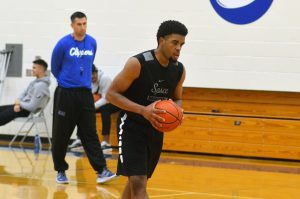 Sipe, a product of Olympia High School, shook off a sluggish regulation by scoring 10 of his 12 points in the extra session to power South Puget Sound to a 79-73 victory over the Gators to help the Clippers capture their third consecutive NWAC West Division championship on March 1. The win was the 25th of the year for South Puget Sound, a single-season record for the program. The Clippers will take a nine-game winning streak and the division’s No. 1 seed into the NWAC men’s basketball championship tournament, which begins on Thursday, March 7, at Everett Community College. Lengthy winning streak. Division titles. Postseason appearances. These were all foreign concepts to the SPSCC program during its first two decades of existence. Head coach Aaron Landon has definitely flipped the script in a very short time at the Olympia campus. Between 1993 and 2015, the Clippers enjoyed one 20-win season. Under Landon’s watch, South Puget Sound has reached that benchmark in each of the last four seasons, highlighted by this year’s 25-4 mark. 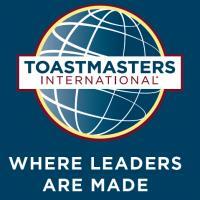 Malloy and Sipe have done just that. Sipe, a 6-foot-2 guard, has his fingerprints all over the stat sheet. He is second on the team in scoring (14.2 ppg) and rebounding (7.8 rpg) and adds 2.1 assists a contest and a team-best 2 steals a game. Landon labeled Sipe a guy “we just had to get” coming out of Olympia High School, and had the coach not arrived on the scene Sipe may be leading another team to a championship. Malloy has put up nearly identical numbers as Sipe this season, adding 6.9 rebounds, 2.6 assists, and 1.6 steals per game. Off the court, the two, who are roommates, couldn’t be more different in terms of personality. 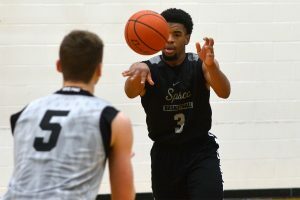 “You have these two guys that can score it, defend, rebound, make plays, both are 6’2 – 6’3, and very strong,” said Landon, who became the first coach at South Puget Sound to notch a career win No. 100 on February 23. 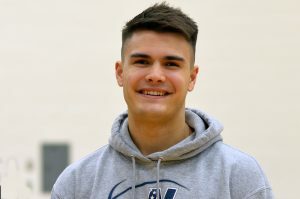 “Then off the court we’ll go somewhere and Hunter is introducing himself to everybody, making plans or a dinner reservation, offering assistance, holding the door for everybody. Meanwhile Monte is with the rest of the guys, not saying a word until the group starts getting noisy and loud, then he’ll grab them and calmly say, ‘You guys need to chill out,’ and they’ll listen to him. 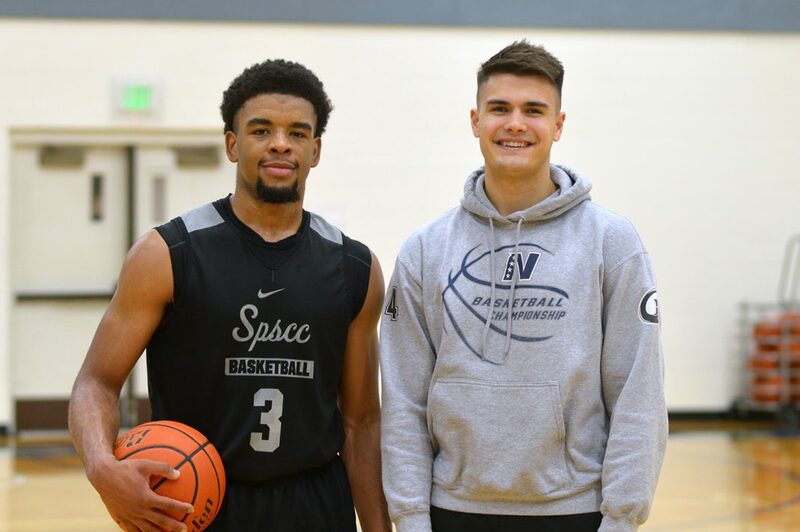 Both provide leadership, and their personalities balance each other very well.” Malloy and Sipe, who have both received attention from several four-year universities, will now attempt to lead the Clippers to the program’s first ever NWAC championship.